In this week’s blog, Christian Carver from William’s Den describes the ethos behind the business and the journey they have taken, from an initial concept to a successful business. 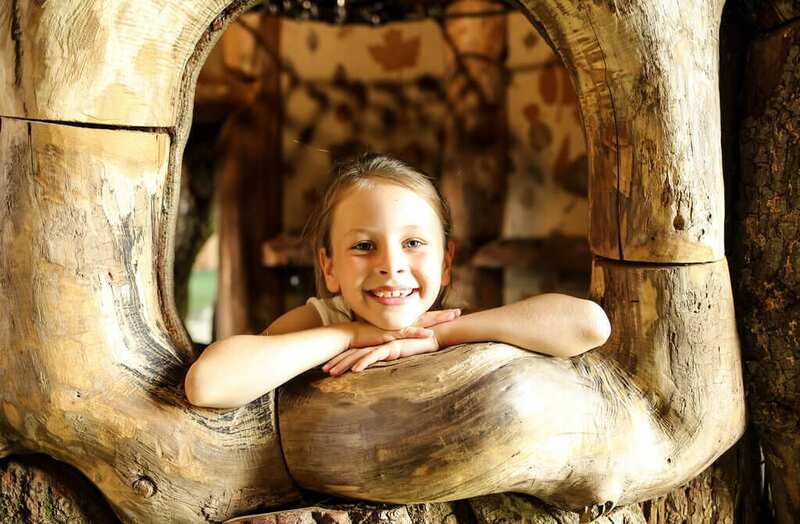 Owned by Tor & Christian Carver, William’s Den is an exciting, rural and natural visitor attraction with a range of facilities tailored to families. It offers outdoor and indoor play, a family-friendly 120 seat restaurant, Snack Box, a gift shop and is open year-round. William’s Den opened in June 2017 to give children the chance to connect with nature and get active. William’s Den is a finalist in the North’s Outstanding Rural Diversification Project category, while Team William are up for the Rural Employee of the Year award. We’re delighted that William’s Den has been shortlisted for two Rural Business Awards. From the germ of an idea, based on our own childhoods and the joy of our son William and his friends playing outdoors, to becoming a thriving business, it’s empowering to bring an idea to life. The relevance of spaces like William’s Den has never been more apparent following the publication in August 2018 of “Child’s Play” a report by the Children’s Commissioner. It states: “Play is important for children. Not only is it great fun but it also benefits their health and wellbeing. By playing, children try out new things, test themselves and learn new skills. Tor and I are from farming families and we both grew up in an environment where we had the freedom to play the old- fashioned way. We climbed trees and damned streams and were able to experiment with nature. We are both well-aware of the benefits of the great outdoors, we intrinsically know the healing and well-being power of lots of fresh air, green spaces and sky. 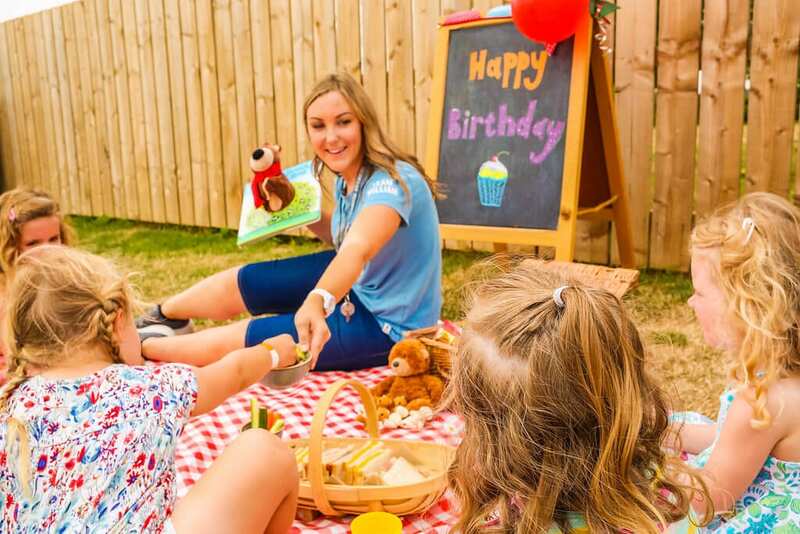 We took inspiration from William having his friends over enjoying great sleepovers and having lots of adventures, enjoying our woodland, stream and farmland to play in. . We wanted to create an expansive adventure playground, a sensory space to capture this sense of freedom and make it accessible for others. It was important to us that our brand reflected the wholesome, honest and traditional qualities that mattered to us. We’re both interested in how forest schools work and we wanted to incorporate that with elements of the Reggio Emilia approach to learning of children using ‘hundreds of languages’ through environment, the outdoors and play. Using our own experience, we wanted to create a place where families could get away from tablets and smart devices and start making memories. We took advice from some of the UK’s leading experts in play to create a space that encourages learning through active play and teaches important life skills such as team work, communication, socialisation and risk taking. 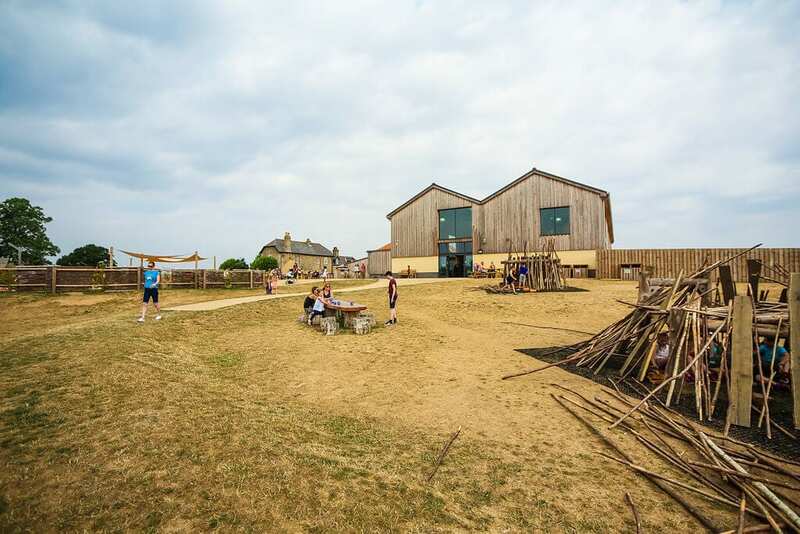 Once we had found the right place at Castle Farm, North Cave in the East Riding of Yorkshire, we invested £3.5 million to create 475sqm indoor space, complete with sensory play zone, tree house, tunnels, climbing nets, hollow tree and water features. The 2.5-acre outdoor area features sand and water play, den making, mud kitchens, tyre swings, rock stacks, and zip lines. Everything else is down to children using their own imagination of how they play together. 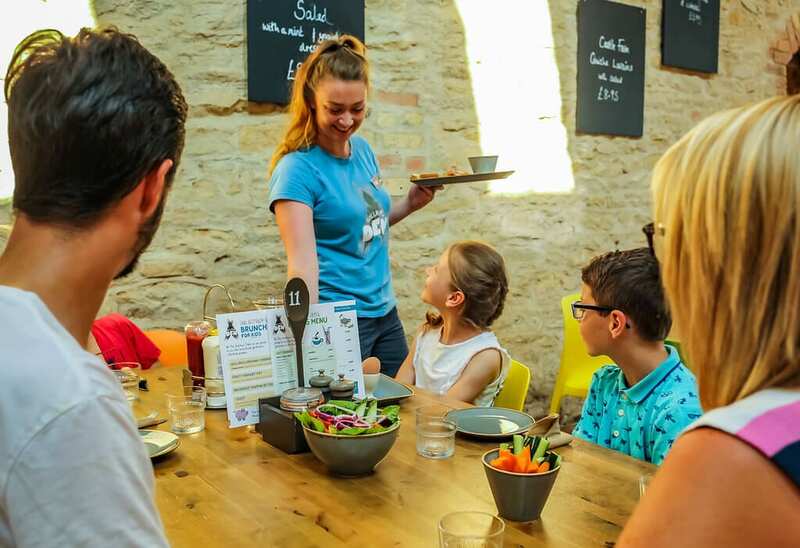 It was important to us that William’s Den was as authentic as possible, and our Kitchen Table restaurant offers good wholesome food, including wood fired pizzas – all made from fresh, locally sourced produce. We’re able to use our knowledge and expertise of farming, and our local supply chain in a different way and we produce our own delicious home-made ice-cream with fresh milk and cream from a local dairy farm. Just like farming, William’s Den is an all-weather affair and with research showing only 10% of school children have access to outdoor learning, we are keen to work with local schools to get children out there in the fresh air and learning away from desks. We’re also supporters of the Children’s University in Hull. A charitable trust that provides 7 to 14-year olds with exciting and innovative learning activities. This, and working with local schools, is a key area of future development for us as a business. We now employ over 50 people in 23 FTE roles, most of them from the local area. 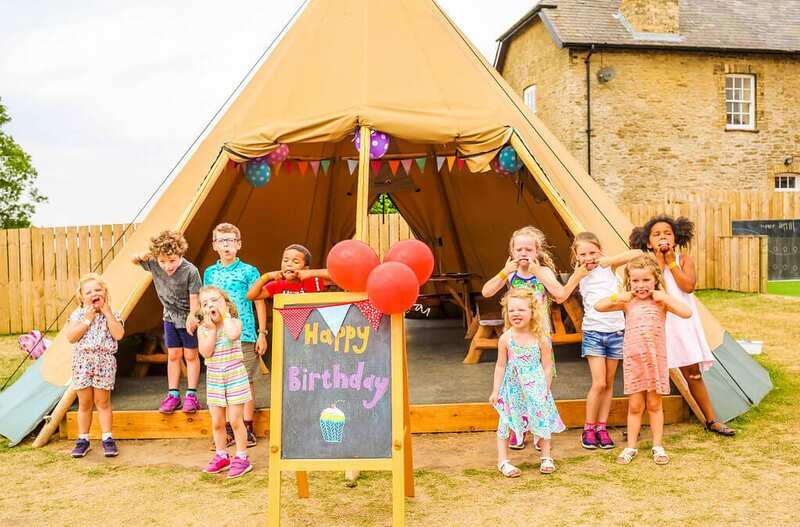 We celebrated our first birthday in July 2018 and welcomed our 100,000th visitor within our first year of trading. Interestingly, we had sold almost 50,000 scoops of ice cream during this period. Yum! Subsequently, we’re extremely proud of what we’ve achieved here at William’s Den, it’s sophisticated in its simplicity. Please come and see us and experience the best day ever! If you would like to contribute an article to the Rural Business Awards Blog, please email amy@ruralbusinessawards.co.uk for more information.